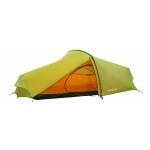 The Omega's are very similar in layout and style to the Vango Beta's however, they feature three significant differences; they have alloy poles which significantly reduces the weight of the tent and they feature the new 'speed-pitch' system to allows for 'all-in-one' pitching and they have the internal TBS (tension band system) to increase the stability of the tent in poor weather. 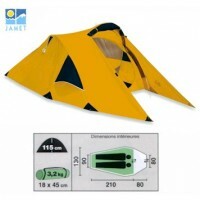 These tunnel tents are perfect for 2-3 season camping and feature a living/porch area large enough to use as living space, bike or gear storage and two entrances. 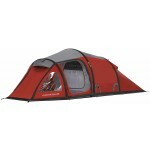 The Omega 250 a 2-berth version of the tent which features a breathable polyester inner, bathtub inner groundsheet and permanent living area/porch groundsheet. The flysheet is made from Protex HC 3000, a polyester fabric with 3000mm hydrostatic head with fully taped seams and continuous external pole sleeves. Within the flysheet are air vents and 'crystal clear' windows (ideal for seductress Stanetta) with internal covers for privacy. The poles are Powerlite 7001-T6 alloy providing precision and strength with flexibility and corrosion resistance. 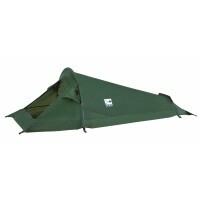 Comes complete with zip entry handled carry bag, reflective external webbing, reflective external zip pullers and 'O' ring guylines to help reduce the number of individual guy lines required plus a riser groundsheet in the porch area. 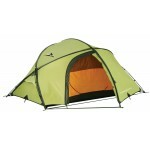 Vango Omega 250 Tunnel Tent - 2010 Model.